Good question! 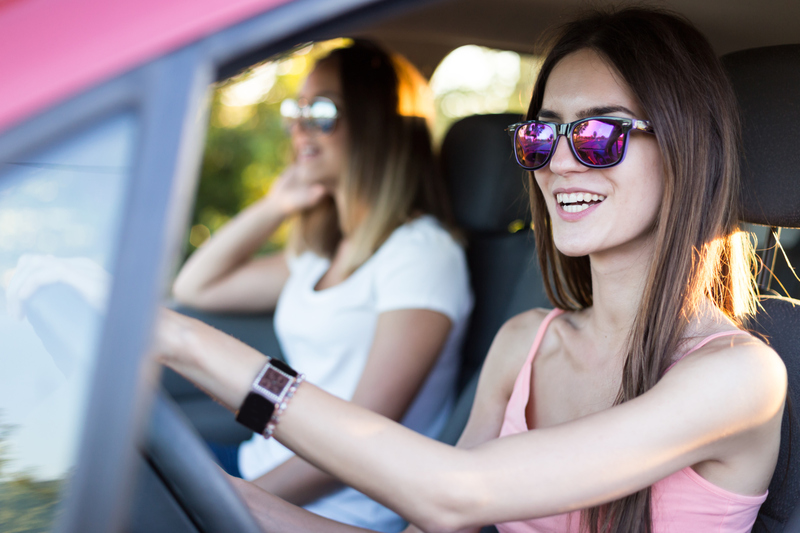 Teen drivers have the highest risk of motor vehicle crashes in the U.S., according to the Centers for Disease Control and Prevention (CDC). If you’re the parent of a young driver, you want to protect your teenage son or daughter by reducing their risk of being in a car accident. Health Advocate offers the following advice in order to keep your young driver safe. Know—and follow—the law. Many states have laws in place that help to reduce the amount of dangerous distractions for younger drivers—for example, laws that prohibit teens from having more than one other teen in the car at the same time, or laws that prohibit texting while driving. Know these laws, and make certain your teen knows and follows them, too. Buckle up. Be sure that your young driver wears their seat belt at all times. According to the National Highway Traffic Safety Administration, compared with other age groups, teens have the lowest rate of seat belt use. Set an example for your teen and always wear your seat belt while you’re in the driver’s seat. No drinking. Set a zero-tolerance rule about drinking and driving. According to a 2008 report by the National Center for Health Statistics, 31 percent of drives age 15-20 who were killed in motor vehicle crashes had been drinking. Make sure to let your teen know that if they are drinking (which is illegal in the United States for anyone under the age of 21), they CANNOT get behind the wheel of a car. Let them know that it’s okay to call you for a ride if they have been drinking. Practice makes perfect. When your child gets their permit, drive with them as much as possible on all types of roads and highways, as well as in different weather conditions. Before heading out, plan a route and discuss it with your teen. Give positive feedback and specific instructions, and quiz them on the basics of driving (for example, ask them if they know what various street signs mean, if they noticed the speed limit, etc). Have a curfew. Set a curfew time for night driving. More than 60 percent of teen motor-vehicle deaths occur between 6 p.m. and 6 a.m. Your town may also have a curfew—if that’s the case, make sure you and your teen are aware of and abide by it. Be a good example. Because teens usually learn to drive from their parents, be sure you’re a good driver, too. Teach them good technical driving skills, respect for other drivers, and good judgment. Remind them to obey driving laws. It’s always helpful to remind young drivers of the basics, such as obeying the speed limit, stopping at red lights and stop signs, using their turn signal when changing lanes, and more. Help them be prepared. Accidents and emergencies can happen. Make sure your teen knows what to do if they’re involved in one—calling 911 (if necessary) and the car insurance company, exchanging insurance information with any other drivers involved, etc. In case of malfunctions… Educate your child on what the various lights (such as the oil light, brake light, etc) on the dashboard mean and what they should do if a light comes on. It’s also helpful to train them on how to check their oil level and other fluids, as well as how to jump-start their car (make sure they have jumper cables in the trunk). Eliminate distractions. Don’t let a teen talk on a cell phone, text, eat, or play loud music when they’re driving. A quarter of all teens admit to texting behind the wheel and, in 2008, the highest proportion of distracted drivers in fatal crashes were under the age of 20, according to data compiled by U.S. Transportation Secretary Ray LaHood. Select a safe car. Avoid giving your teen access to sports cars and small or older cars that offer little crash protection. Instead, look for a mid-sized or full-sized vehicle that has achieved good safety ratings.